"Annabelle…?" New Line Cinema / WB has released the first teaser trailer for Annabelle 2, the sequel to the spin-off horror series based on the creepy doll from the The Conjuring. Director David F. Sandberg, who already made Lights Out earlier this year, directs this sequel about a dollmaker and his wife who are haunted in their home by the possessed doll Annabelle. The cast features Talitha Bateman, Stephanie Sigman, Miranda Otto, Anthony LaPaglia, Lulu Wilson, Philippa Coulthard, Grace Fulton and Alicia Vela-Bailey as Evil Mrs. Mullins. This teaser doesn't show much, but it does setup the new house and the return of the freaky, evil doll. The sound effects in this trailer are very effective - have a listen below. 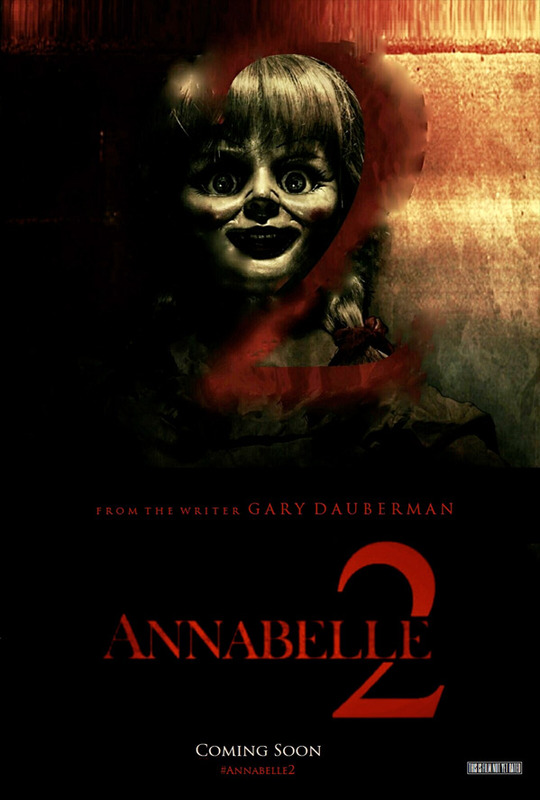 The sequel centers on a dollmaker and his wife, whose daughter tragically died twenty years earlier, as they decide to open their home to a nun and several girls from a shuttered orphanage; the dollmaker's possessed creation Annabelle sets her sights on the children and turns their shelter into a storm of horror, but how will they escape from the terror? Annabelle 2 is directed by Swedish horror filmmaker David F. Sandberg, who made his feature debut with the horror film Lights Out (based on his own short) earlier this year. Also known for his collective no-budget horror short films. The screenplay is by Gary Dauberman. New Line Cinema will release Annabelle 2 in theaters starting May 19th, 2017 next summer. Who's interested? Looks crazy, but can it compete with FANNY PEY, the greatest evil-doll movie ever made!? We'll see. Demons exist shiboleth. They live in a parallel universe. Sweet! // A sequel to a spin-off is a cool and lucky thing.